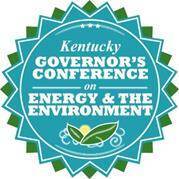 (FRANKFORT, Ky. Aug. 15, 2016) – Registration is now open for the annual Governor’s Conference on Energy and the Environment to be held Sept. 21-22, 2016, at the Lexington Convention Center, 430 West Vine Street, Lexington. This year’s Governor’s Conference on Energy and the Environment will be held September 21 – 22, 2016 at the Lexington Convention Center. You can help accelerate Kentucky’s sustainable future by attending. The Energy and Environment Cabinet is hosting its annual Governor’s Conference on Energy and the Environment Oct. 7-8 at the Lexington Convention Center. This year’s program highlights hot topics of our day including federally proposed pollution rules, Kentucky’s infrastructure challenges, and urban forestry and reforestation. Attendees also will hear from local community leaders who are engaging in innovative environmental practices, along with nonprofit and business leaders who are going above and beyond regulatory requirements and implementing energy and environmental conservation initiatives that make good business sense. The conference includes an exhibit hall for vendors wishing to display energy and environment-related products and services. Vendors and attendees may register and pay online: http://eec.ky.gov/Pages/conference.aspx. This year’s conference adds two free tours the morning of Tuesday, Oct. 7, beginning at 9 a.m. Attendees can choose between a tour of the University of Kentucky Center for Applied Energy Research (CAER) and Kentucky American Water. CAER investigates energy technologies to improve the environment. Researchers contribute to technically-sound policies related to fossil and renewable energy. Tour participants will learn about coal beneficiation, utilization, and conversion process technologies; fuel use; coal combustion by-products; engineered fuels; derivation of high added-value materials and chemicals; and renewable energy such as biofuels and bioenergy, electrochemistry, solar energy and environmental remediation. Register online at https://www.eventbrite.com/e/uk-center-for-applied-energy-research-tour-tickets-12931401169. Kentucky American Water will offer three tours of its water treatment plant. Each tour will focus on the process of providing potable water and how KAW is working to improve the energy efficiency of water treatment as well how KAW supports community and environmental projects. To register for this tour, go to https://www.eventbrite.com/e/kentucky-american-water-tour-tickets-12974682625. For additional conference information, contact Ricki Gardenhire at 502-564-5525. Online registration is underway for the 38th Governor’s Conference on Energy and the Environment, sponsored each year by the Kentucky Energy and Environment Cabinet. The conference is Oct. 7-8 at the Lexington Convention Center, 430 W. Vine Street. Pending rules from the federal Environmental Protection Agency which will place limits on greenhouse gas emissions will have economic, policy and technological impacts on Kentucky.